In one of my very first posts, I mentioned how much I’ve missed Vietnamese food since leaving London. Having discovered this light, healthy and usually cheap variety of Asian cuisine not long after I first arrived there, going for a big feed of Vietnamese food soon became one of my favourite ways to treat myself. During the week, while I was still getting to know the city, and at weekends when I didn’t have visitors from home to entertain, I would head into Soho or east to the Kingsland Road to seek out Cay Tre, Song Que, the Viet Grill… or somewhere new. And near work in Clerkenwell and at home in west London, I was just around the corner from a branch of Pho, a great London chain which put a bit of a swankier (but no less affordable) veneer on the Vietnamese classics. Summer rolls will always remind me of (guess?) summer in London, light salads of chicken, cashew nuts and minty goodness were perfect for a healthy lunch, and my beloved ‘Bun’ noodles were kept for treat days, where the still-healthy bowl of rice noodles and fresh veggies would be topped with chicken or prawns, chili sauce and (ah, heaven) a single crispy spring roll. It all made stuffing your face feel relatively virtuous. Since moving back, I’ve found plenty of new places to eat and love in Dublin, but most work trips or weekends in London since have involved me seeking out my much-missed Vietnamese fix along the way. So I got very excited when I started to hear murmurings about a couple of new Vietnamese cafes opening up in Dublin. Pho Viet on Parnell Street has received a few great reviews, so it has been lurking near the top of my restaurants-to-visit list for the last couple of months. The name sounds exotic, but google it and you’ll find that calling a Vietnamese restaurant Pho Viet is akin to calling your Irish child Sean Murphy. You’ll find hundreds of eateries of the same name around the world. Anyway, as they say, it does what it says on the tin (and also on their fancy sign outside), i.e. “Noodles from Vietnam” and I practically took the stairs two at a time in excitement on the very cold night that my friend Nicola and I chose recently to try Pho Viet before catching a gig in the Academy. Inside, there’s brand spanking new decor and everything is box-fresh including the carpets. It’s brightly lit and spread over two floors (or maybe three? ), the downstairs feeling more like a cafe with its window onto Parnell Street, and upstairs a bit more restaurant-y. We were the only punters upstairs, the other massive table consisting of the staff of my local teppanyaki restaurant and what looked like their various families. We took this as a good sign. We both decided that it had to be summer rolls (or on the Pho Viet menu, Vietnamese fresh spring rolls/Goi Cuon) to start, and also made the same choice of main course by going for the Pho Viet special beef noodle soup (€6.90). I was momentarily tempted by my old favourite, Bun noodles, which I was delighted to see on the menu, but already had a sneaking suspicion I’d be making a return trip to give them a try. The service had a lovely family feel. We were served by an amusingly chatty, tall Vietnamese guy with a Dublin twang, who made us feel very welcome and was keen to engage Nicola in chat about her previous travels in Vietnam. Our table was also attended by a serious-looking young girl in school uniform (complete with a Prefect badge), who was clearly the perfectionist of the outfit and very keen to make sure our order had been taken correctly. The summer rolls (€3) carried my high hopes along with their low price. They didn’t let me down. Substantial in size, the cold, transparent rice rolls were filled with fresh veggies, prawns and plenty of mint, and accompanied by a delicious peanut satay sauce that I was spooning out of the dish long after the summer rolls had been gobbled. Our house special pho, full of beef, brisket and meatballs, arrived steaming hot and accompanied by the customary dish of fresh beansprouts and chillies for us to spoon into our bowls to adjust the taste to our liking. We noted the soup could have done with more heat – but I’m sure if we’d stopped slurping long enough to order extra chillies, they’d have brought them straight away. Note to self for next time. We finished our feast with two cups of that amazing Vietnamese coffee, where a small steel pot of coffee slowly drips into a cup of condensed milk, carefully watched over by our waiter until it was ready to be stirred in and enjoyed in a few hot, sweet sips. Without drinks, we paid €26 (yes, that was €13 each) and left full, happy and promising to return. Pho Viet is authentic, friendly, clean, tasty, and best of all, cheap. Hallelujah! They’ve also just announced today that they’ve received their wine licence. Great news, but may mean the end of BYOB – so best to check if you’re planning a visit. See you there – I’ll be the solo diner happily slurping noodles in the window seat. 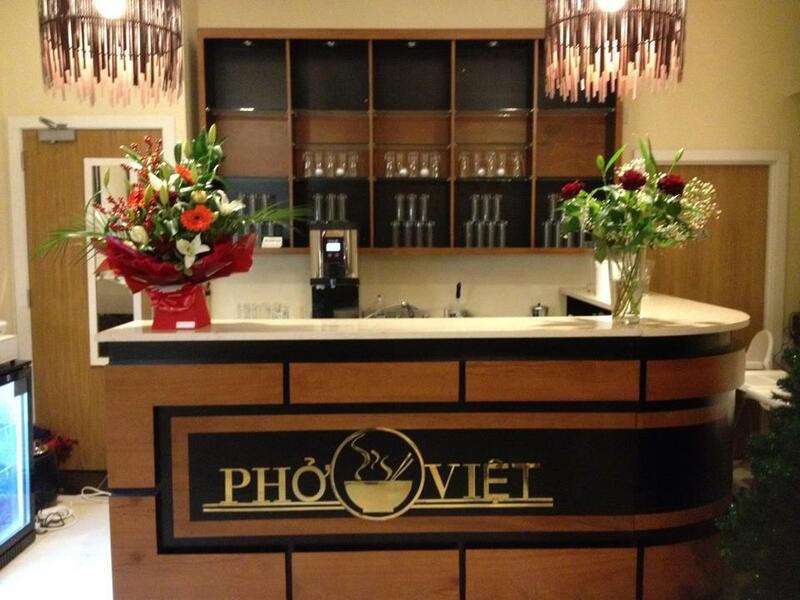 Pho Viet, 162 Parnell Street. No website, but check out their Facebook Page. Ohhh that sounds right up my street! I’d go a few unprawny summer rolls right now. I presume they’ve a few veggie options? Ooh sounds right up my street as long as there’s a few veggie options ..can you get an unprawny summer roll? Hmm, I didn’t notice the veggie options but I’d hope so. 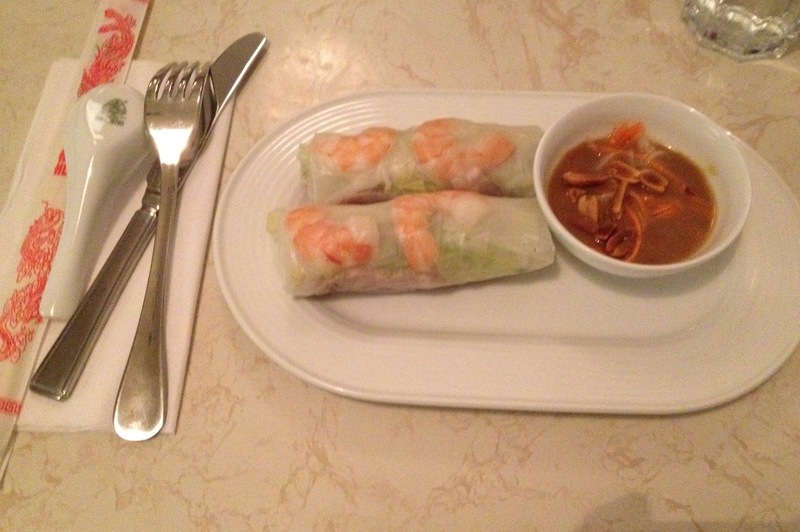 Summer rolls would be a bit empty without prawns, but hopefully there are meat-free Pho options! I’ve just found your website, I too am glad to discover Dublin’s new food options. It wasn’t like this when I last lived in Dublin.